At our lobby, you can help yourselves to coffee and tea. Microwaves are also available, so you can enjoy relaxing time for snacks. If you need information about this area, you are always welcome to ask us. 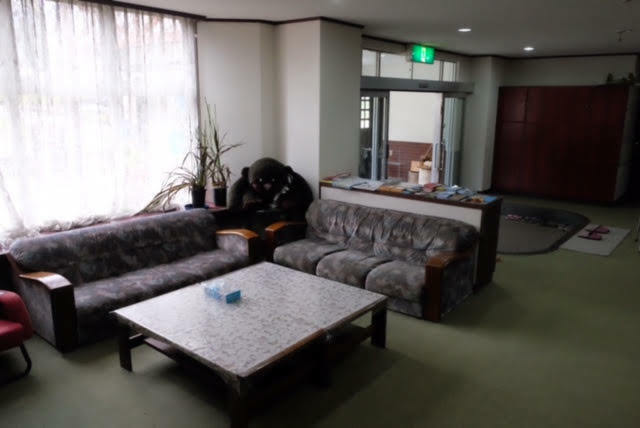 Kyohei, son of this guesthouse, are a local guide who can speak English, so you can expect for a good information. If you need more research, Wi-Fi are also available here. 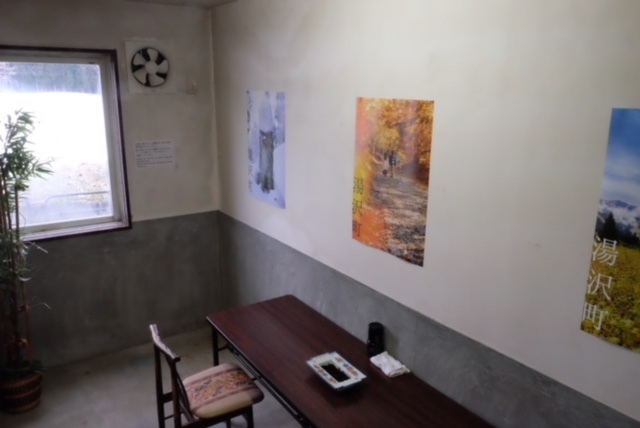 All of our rooms are typical Japanese style. You have TATAMI on the floor, which you sit on it, relax on it, and make a FUTON bed on it by yourself. 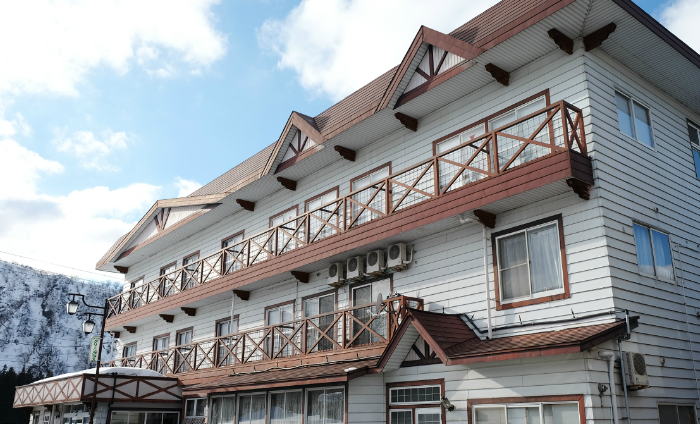 It would be your "REAL" Japanese style stay. 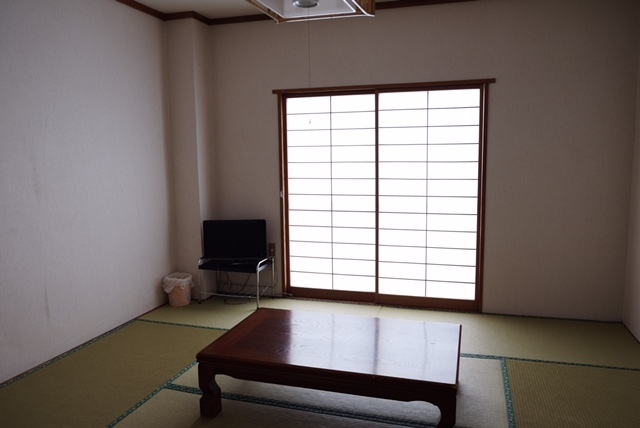 Unlike western style hotel, traditional Japanese style room are mostly very simple. You will have table, cushion to sit on, TV, dust bin, air conditioner and FUTON bed sets inside a closet. It is very simple so you do not have to becareful for small children not to touch decorations in the room. 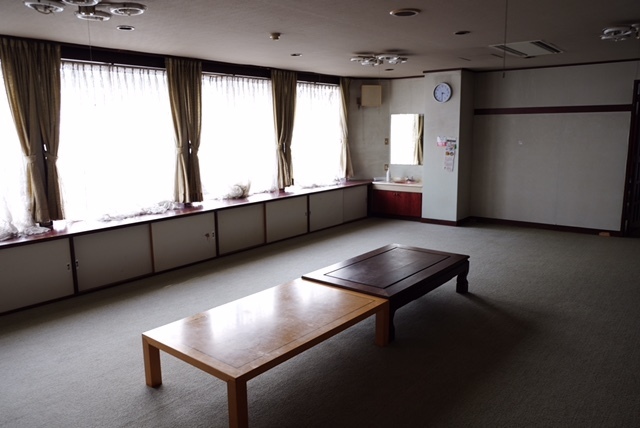 Also, there are no steps in the room and the floor are soft with TATAMI, you can let infants crawl around the room with ease. For your dinner and breakfast, please use a restaurant on 1st floor. Reservation is necessary before hand. We serve local foods, traditional foods and western style foods combined together. If you have any allergy or foods that you cannot eat due to your religious belief, please let us know when you make your reservation. We will do our best to meet your demands, but we do need some time. Please note that there might be some demands that we cannot arrange. In Japan, using same bath in same time with other people is a good chance to communicate with each other. Talking without hiding anything (literally lol) means that you have no hostile to the person. It is a very traditional way to confirm friendship since hundreds of years ago. You might get little nervous for the first time, but there might be a new and wonderful encounter there. If you are not sure how to use it, feel free to ask us. We are always welcome to support your new challenge. 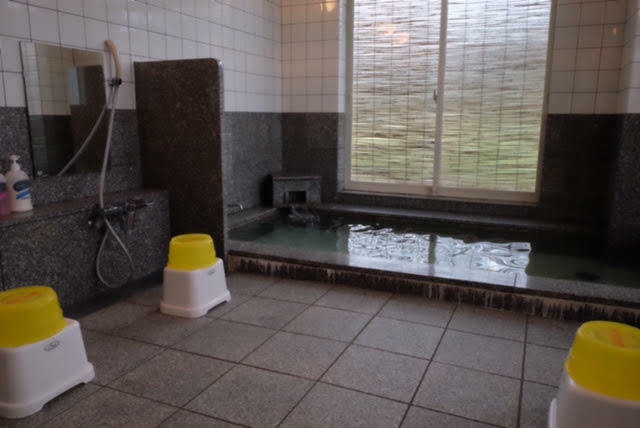 Like typical and traditional guesthouse in Japan, our toilets and washbasin are public. There are toilets for ladies and gentlemen seperately, 3 occupation each on 2nd floor and 3rd floor, 1 occupation each on 1st floor. 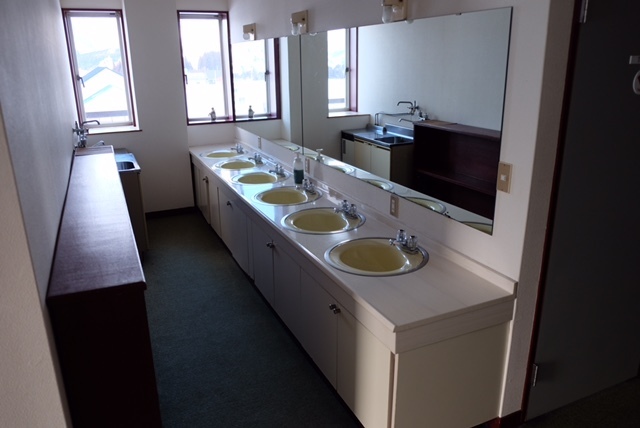 There are 5 washbasins on 2nd floor and 3rd floor, and these are for both ladies and gentlemen's use. Please use it so all of our customers can use comfortably mutually. We also have stools for children when they need to use the basin. Feel free to use it. All of our rooms and facilities are prohibited to smoke. You can smoke at this smoking room only. But there is a good news for a smoker. It has a good view from the room. Also, there might be a chance to have a good conversation with other guests that might be your perfect match. 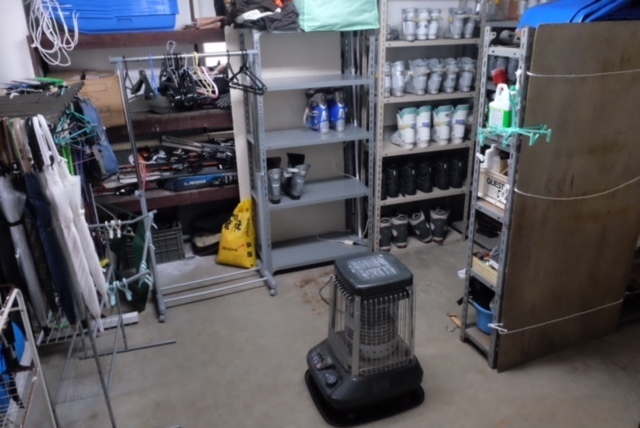 Just beside the entrance, there is the drying room. We will put on a stove to dry your ski/snowboard wears in winter season from 4pm to 10pm and 7am to 10am. It is a quite enough time to dry your wears. You can put your wears and snow boots or snow shoes in the room also. For your skis and snowboards, you can stand them up in our entrance, just next to the drying room. If you are afraid that your wears or gadgets will be mistaken, you are welcome to bring it to your room to dry, but please mind not to wet the room or facilities. 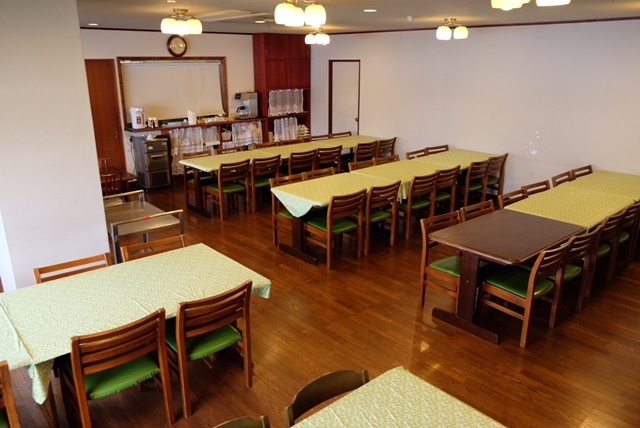 This type of multipurpose room is probably unique in Japanese hotel or guesthouse. This room's purpose is multiple "literally". We use this room as a luggage storage room before check-in/after check-out, table for dinner/breakfast when there is a huge party of guests, drinking party after dinner, to have a meeting with your party and so on. If you wish to use this room, please contact our staff and notify your purpose so we can arrange the room for you. Please note that there might be some demands that we cannot arrange.